Located within a mile (2 km) of El Anclote Beach, The St. Regis Punta Mita Resort is within 2 miles (3 km) of Punta De Mita Beach. This 120-room, 5-star resort has 3 outdoor pools along with a private beach and a full-service spa. There are multiple options for onsite dining with 5 restaurants, including Las Marietas, which specializes in Mexican cuisine. Order from 24-hour room service to satisfy your hunger without leaving your room, or make new friends over drinks at the bar/lounge. Start your day off with buffet breakfast, available for a fee. A flat-screen TV comes with satellite channels and a DVD player, and guests can stay connected with free WiFi and wired Internet. Beds sport premium bedding and the bathroom offers a hair dryer and free toiletries. Other standard amenities include a washer/dryer, a patio, and a minibar. The St. Regis Punta Mita Resort features a private beach, a full-service spa, and 3 outdoor pools. If you drive, take advantage of free valet parking. The front desk has multilingual staff on hand 24/7 to help with luggage storage, dry cleaning/laundry, and securing valuables. Other amenities at this beach resort include a children's pool, a fitness center, and a spa tub. Simply step outside to unwind on the resort's beach. At The St. Regis Punta Mita Resort you can cool off in one of the 3 outdoor swimming pools and indulge in a pampering afternoon at the full-service spa. Dining is available at one of the resort's 5 restaurants. Guests can unwind with a drink at one of the resort's bars, which include a poolside bar and a bar/lounge. Wired and wireless Internet access is complimentary. This luxury resort also offers a complimentary children's club, a children's pool, and a seasonal outdoor pool. Onsite valet parking is complimentary. 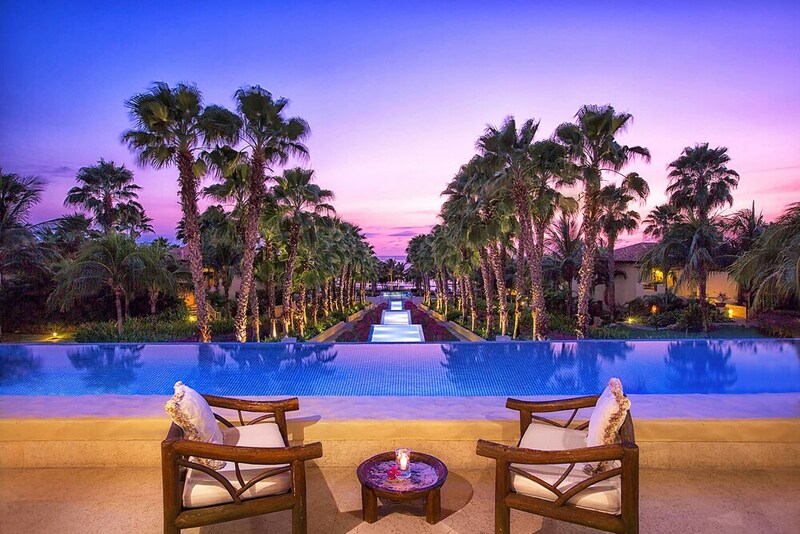 The St. Regis Punta Mita Resort is a smoke-free property. The St. Regis Punta Mita Resort offers 120 air-conditioned accommodations with washers/dryers and DVD players. Rooms open to patios. Beds feature premium bedding. Flat-screen televisions come with premium satellite channels and pay movies. Guests can make use of the in-room coffee/tea makers and minibars. Bathrooms include separate bathtubs and showers, bathrobes, slippers, and complimentary toiletries. This Punta de Mita resort provides complimentary wired and wireless Internet access. Business-friendly amenities include desks, complimentary newspapers, and safes. Additionally, rooms include complimentary bottled water and hair dryers. A nightly turndown service is provided and housekeeping is offered daily. Las Marietas - This poolside restaurant specializes in Mexican cuisine and serves breakfast and lunch. Mita Mary Boat Bar & Bist - This seafood restaurant is located on the beach and specializes in seafood. Guests can order drinks at the bar and enjoy alfresco dining (weather permitting). Open select days. Signature Restaurant Caro - This diner specializes in Mexican cuisine and serves dinner only. Open select days. Sea Breeze Restaurant - This theme restaurant specializes in Latin American cuisine and serves lunch and dinner. Guests can enjoy drinks at the bar. Altamira Cantina Gourmet - This diner specializes in Mexican cuisine. Open select days. Remède Spa has massage/treatment rooms. Services include facials, body wraps, body scrubs, and body treatments. A variety of treatment therapies are provided, including hydrotherapy. The spa is equipped with hot springs/mineral springs and a sauna. Rollaway/extra beds are available for USD 97.0 per night.